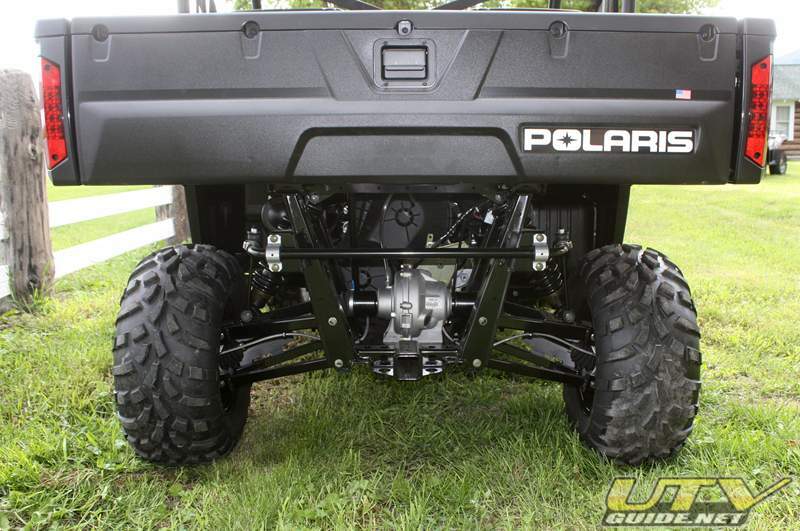 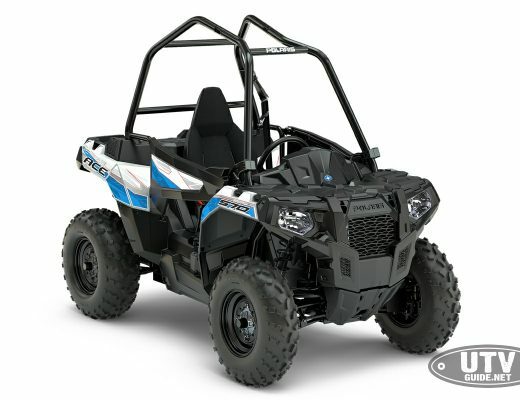 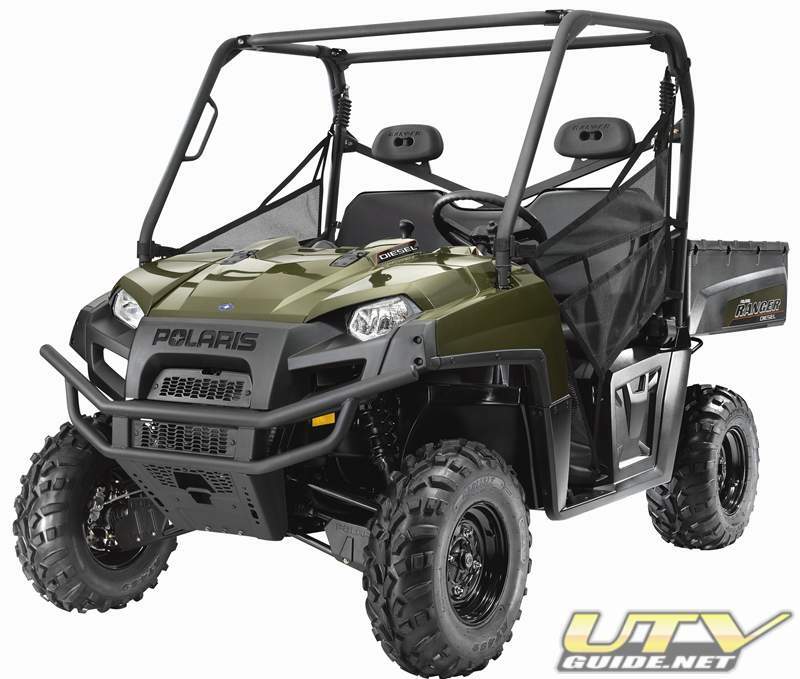 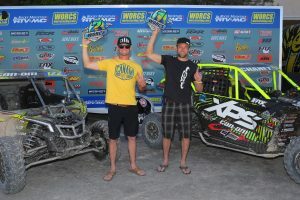 For 2011 Polaris also is entering the diesel Side-by-Side segment, with the introduction of the newRANGER Diesel. 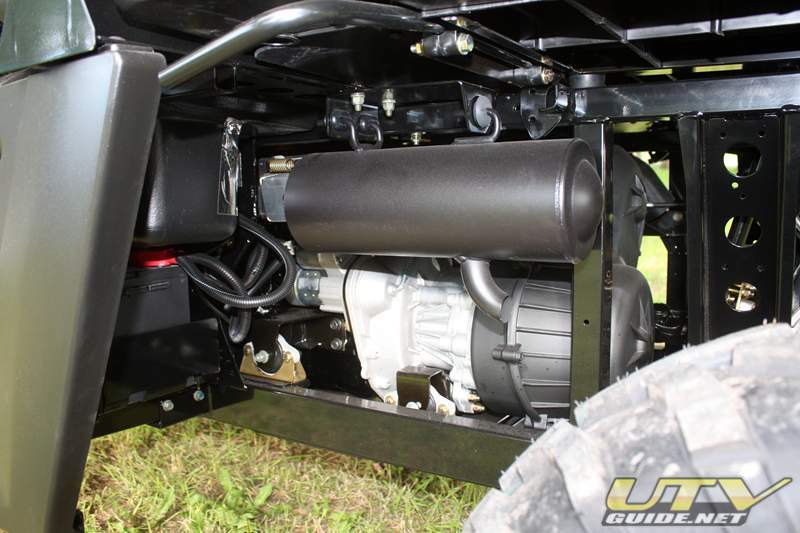 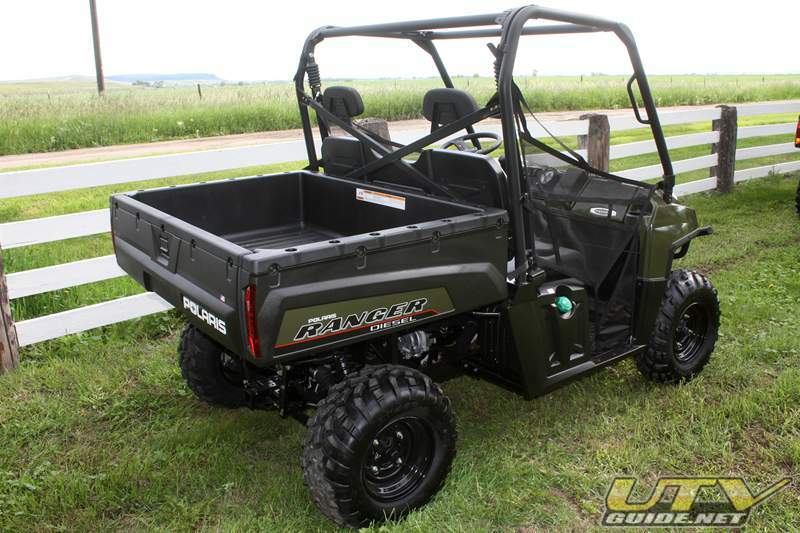 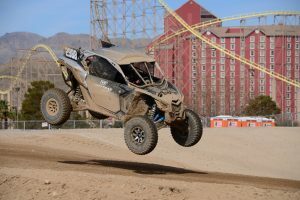 The RANGER Diesel shares the same full-size chassis as the RANGER XP 800 EFI with the same attributes that made the RANGER line the hardest working, smoothest riding vehicles on the market. 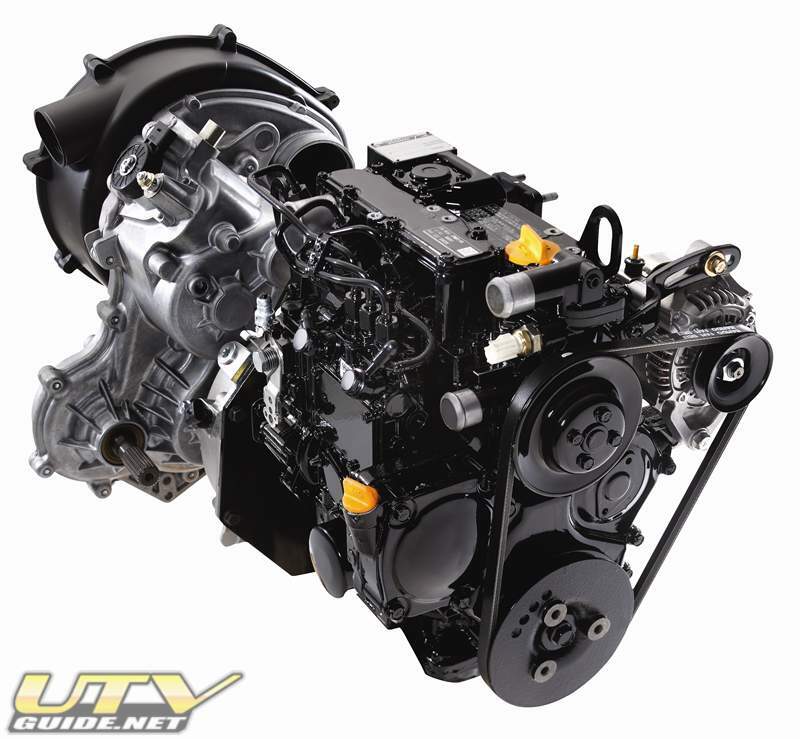 At the heart of the unit is a 904cc, three-cylinder diesel engine which is rubber mounted to transfer minimal vibration to the operator and provides a top speed of 35 mph/56.3 kph. 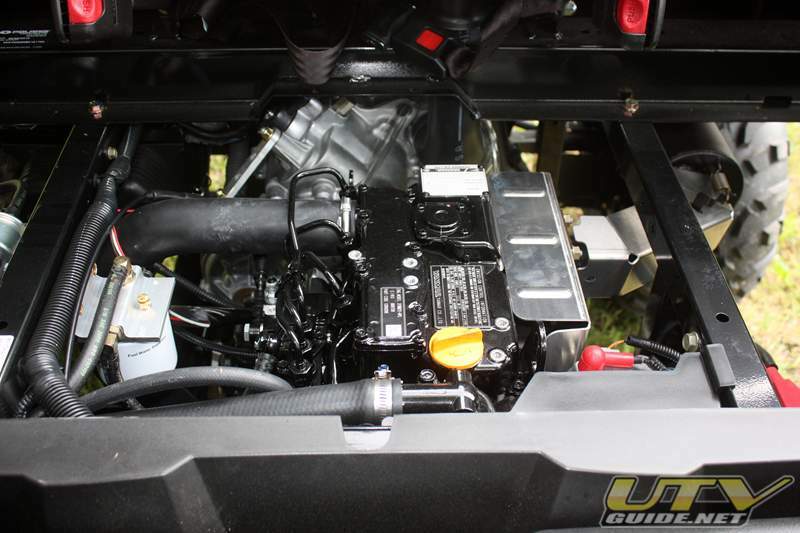 The Diesel powertrain also provides better fuel economy over gas vehicles resulting in less time at the pump and more time working the fields. 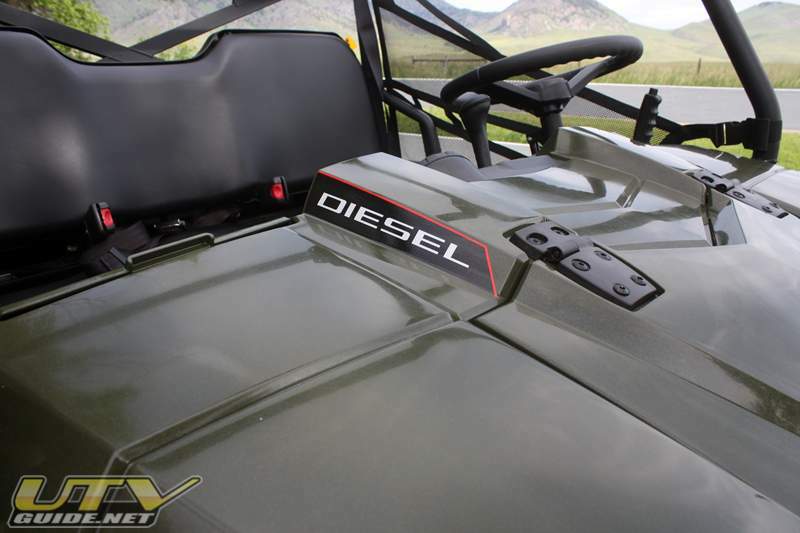 TheRANGER Diesel also boasts the biggest fuel tank in its class so it can work harder longer. 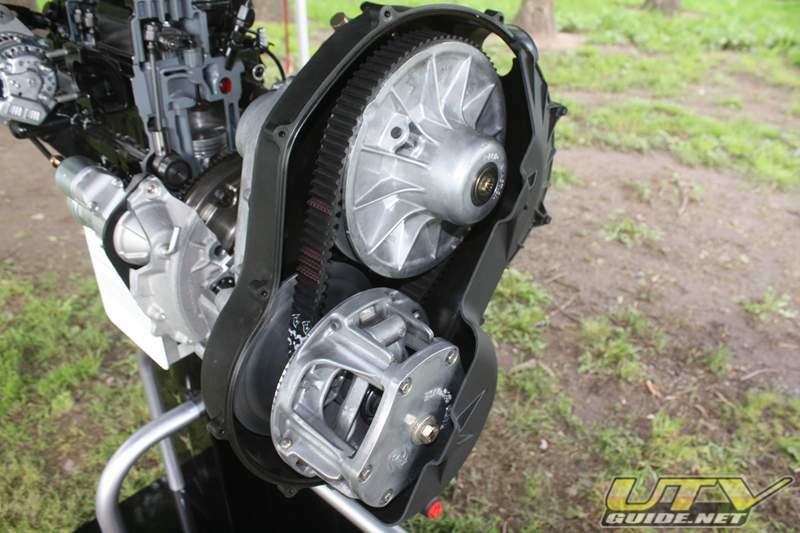 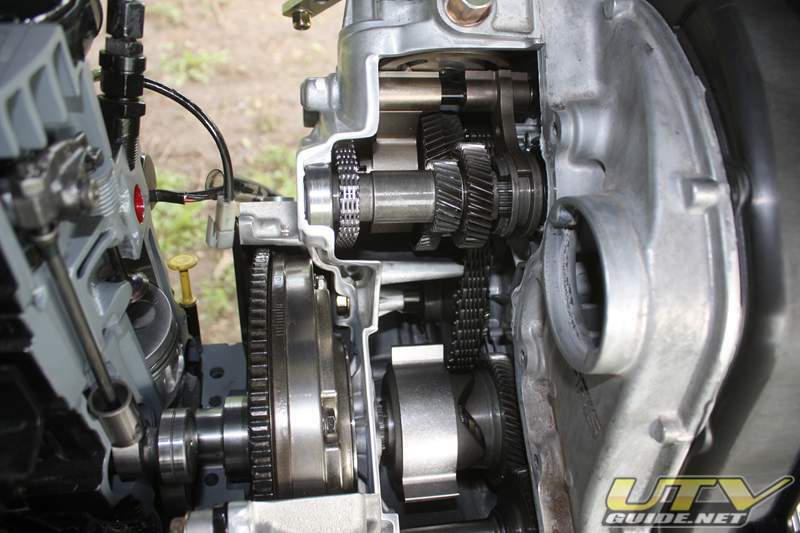 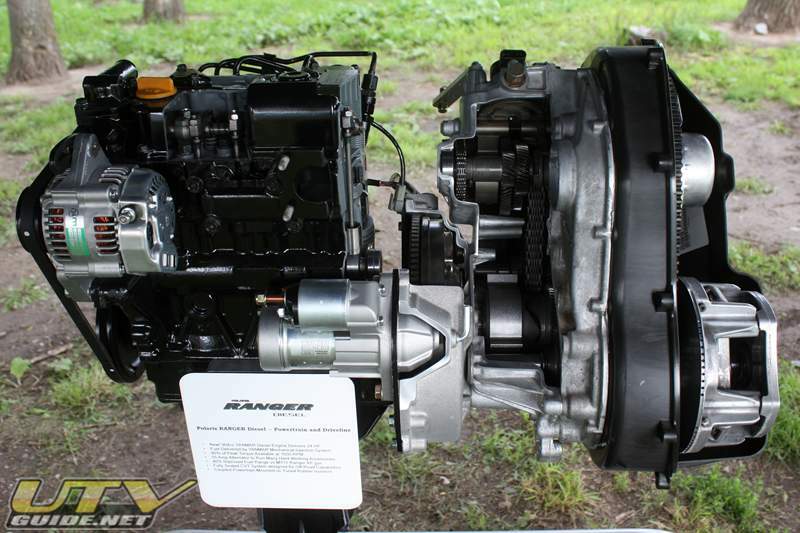 The fully-sealed, fixed center distance clutch driveline keeps water out of the clutches and provides better performance than competitive models. 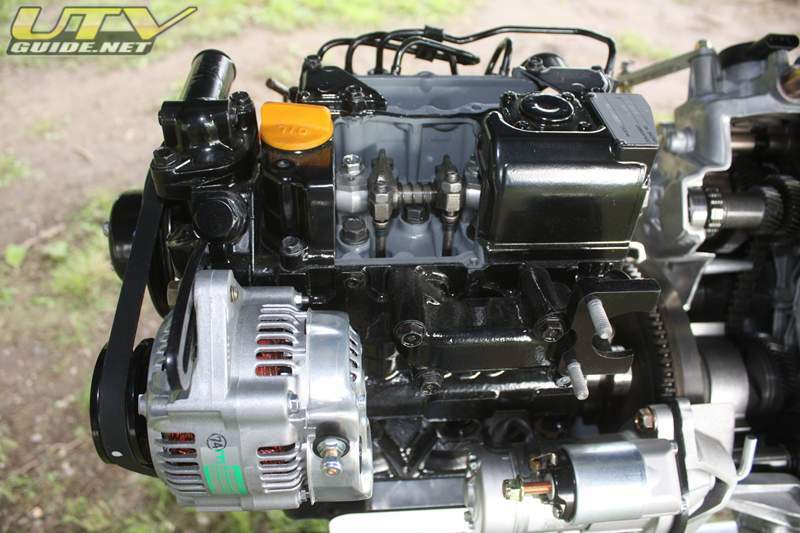 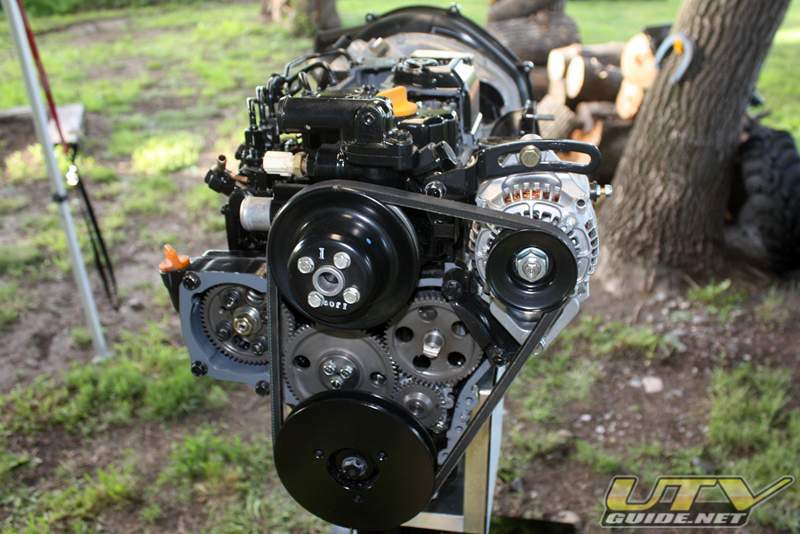 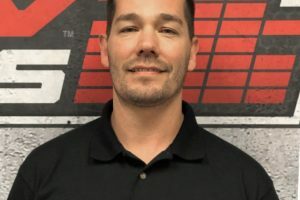 RANGERDiesels work ethic also includes a 55 amp alternator that gives the operator the ability to run many hard working, higher electrical load accessories, such as plows, extra lights, cab heaters and fans at the same time. 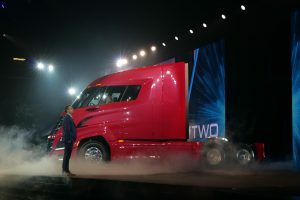 It boasts one ton towing, 1500 lbs/ 680.4 kg of total payload and can seat three adults.